If you have an idea for a great show that you know would be a hit, we’d love to hear about it! Improv, sketch, theater, storytelling, puppetry, as long as it’s humorous, we’re open to the pitch. Pitches will be accepted on a rolling, monthly basis, and they must be submitted through the official Sea Tea Comedy Theater Pitch Form. Every month, the Artistic Team will review the list of pitch submissions and at their discretion, they may select one or more to be featured at Sea Tea Comedy Theater. The theater calendar is typically scheduled 3 to 4 months out. If your pitch is selected, it will likely be for the following quarter, which gives you plenty of time to plan and rehearse! There is no fee for pitching. Pitches are not guaranteed to be selected. Incomplete submission forms may not be considered. Please bear in mind, multiple people might pitch the same idea. In such case, the Artistic Team reserves the right to select the most qualified submission. Ensuring the show has a full production team, including director, cast, host, and tech. Communicating the needs of the show with the Theater Management Team and House Manager(s) who will be working the show. Managing or delegating all requirements for the show, including theater and rehearsal schedule, and tech. Also costuming, props, set, etc. if needed for a sketch show. Scheduling rehearsal space if needed, including both studio space, and the theater if the show needs a dress/tech rehearsal in the theater. Coordinating show dates and times with the Artistic Team, cast, crew, and House Manager(s). Filling in any missing gaps to ensure the show happens. The show must go on! 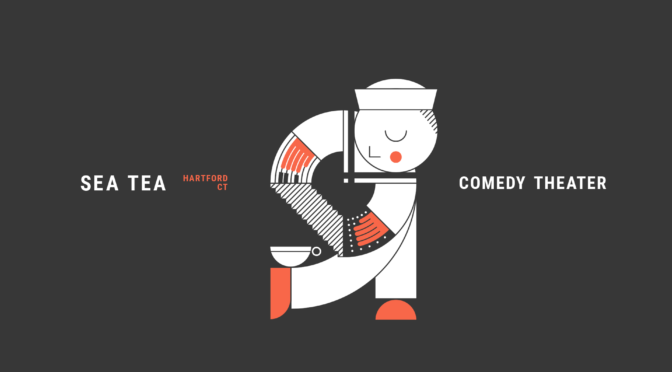 If your pitch is accepted, Sea Tea Comedy Theater provides the space, a house manager, box office staff, and bartender. Unfortunately, we cannot pay performers at this time. If you would like to rehearse in the space prior to the show, please indicate so in your pitch submission.